Its been a tough job researching & tasting some of the finest meat around the globe. Working in New York Steak Houses, tasting Wagyu in Tokyo, Charolaise throughout France & butchery courses in London, all so that we can offer & cook you some of the finest meat available. We care passionately about the food and wine we serve & we hope you come in and see us soon. Our upstairs cocktail bar features not only a mind blowing array of spirits collected from all over the globe, but it also frames one of the best views of St Peter Port on the island and is the perfect spot for sundowners... but beware, we will make it hard for you to leave. The team behind the bar are armed with an ice bucket load of passion and an encyclopaedic knowledge of spirits. Our cocktail menu is updated regularly and features everything from well known classics to unique creations developed by our very own bar staff. The wine list here at Red is the result of hundreds of arduous hours tasting wines from all over the world and many miles travelling to small and large producers from all four corners of the globe. Over the last few years studying and living in Bordeaux, great relationships have been built up with these artisans and negociants, mainly in Bordeaux but also in Burgundy, Spain, Italy and the New World. These relationships and studies have meant we have been able to create a unique, varied and interesting wine list. We have scoured the British Isles & worked with the finest butchers in the business to source only the best quality produce from farms upholding the highest standards of care & animal husbandry. The cattle live in social groups & are fed on grass for the majority of the year. Hormones & re-cycled proteins are strictly forbidden. At Red we will only accept the finest cuts with the perfect amount of marbling. 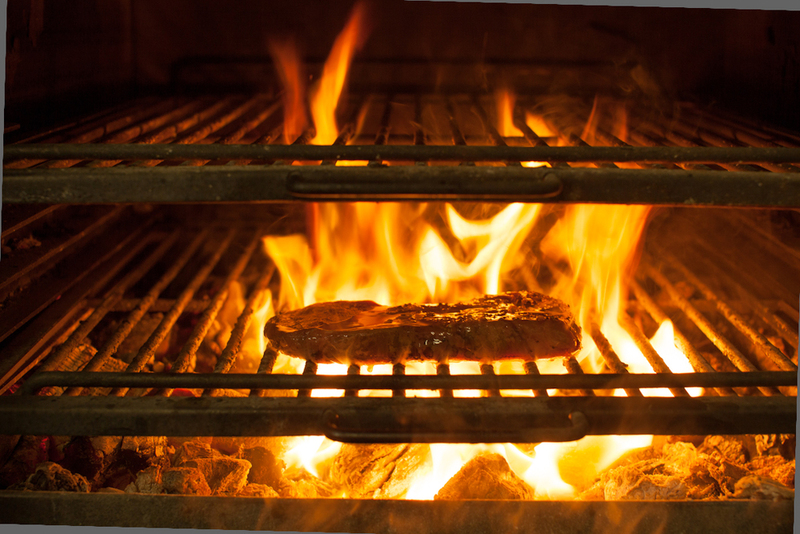 Our meat is dry aged for between 25-30 days & cooked at over 400 degrees on an enclosed charcoal grill for extra flavour. From private dining to our famous American style brunches there is always a lot going on at RED. At Red we like to leave our customers with more than just a full stomach. Education is a key feature of the Red experience; from the wine you choose to drink to the meat on your plate, we will talk you through every aspect so that you know exactly where the food you are eating comes from. 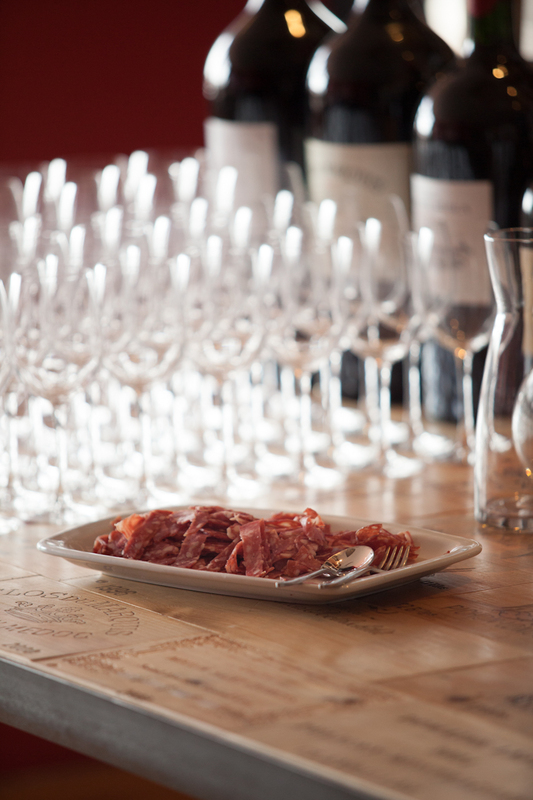 We hold regular wine pairing evenings themed on country or grape type to give our customers the chance to step out of their comfort zone and try something different. Or perhaps you prefer a beer, bourbon and BBQ themed night? At Red we try to mix it up and create unique evenings to remember. Our American style Sunday brunches have become a firm fixture throughout the year whether you are a party animal or a family with young kids. If you like pancakes or an egg on your steak then keep your eyes peeled on our Facebook page to find out when these are being held, then get dialling as tables tend to book up quickly! You can also hire out our upstairs bar for your own private event during lunchtime or in the early evening. We also offer cocktail making evenings so that you can learn to shake up a quick Cosmopolitan or Mojito like an expert.